A founding member of The Dancing Georgina Project (DGP) Iris Platt is originally from Boston, Massachusetts and moved to New York City to pursue Dance and Biology at Marymount Manhattan College in 2010. While an undergraduate student, Iris spent a year studying and performing at The Jerusalem Academy of Music, where she and Marsh met. In addition to her work with the DGP Iris has completed 500-hours of training as a yoga instructor, and is currently a graduate student at Columbia University. Iris's research in motor learning and neuroscience explores the relationship between movement and the mind. Musician. Producer. Promoter. Designer. A graduate of NYU Music Business Masters Program and alumni of Berklee College of music. My passion drives my practice from New York, Boston, Chicago, Denver, San Francisco, Los Angeles, London, and Rio. 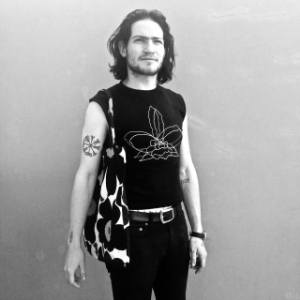 Berke Gold is a Mexican designer interested in creating objects, graphics, spaces, and experiences. His work comes from a revision of family, design, and art history and is meant to be at the intersection of the grotesque and the humorous. He also loves cats and good food. Ann Lupo is a Brooklyn-based filmmaker, editor, and actor. After graduating from NYU's Tisch School of the Arts, Ann co-directed and co-produced Jose Antonio Vargas's feature-length documentary Documented which aired on and was distributed by CNN Films in 2014. As a commercial director and editor her clients include Ford, GQ, and Vogue among others. As of 2016, Ann has completed her first narrative feature film In Reality that marries her affinity of documentary story telling with her absurdist humor and fantastical cinematic style into one genre-defying experience. In Reality is an alumni of the IFP Screen Forward Labs and raised $45K on Kickstarter and is expected to be released in the spring of 2017. Nell Pattee McCarty, originally from the Midwest, now resides in Queens, NY after earning her graduate degree from Columbia College Chicago in Dance/Movement Therapy & Clinical Counseling and her undergraduate degree in Dance and Women/Gender Studies from Rutgers University. Nell is a practicing counselor with the Department of Correction, is a Registered-Dance/Movement Therapist, and has completed over 200-hrs of training as a yoga instructor.